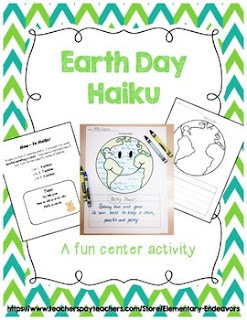 A fun and simple Earth Day activity. Included is the Earth Day Haiku template and a haiku resource sheet. I would recommend reading some examples of haiku poetry to students beforehand. Some books I used were Dogku by Andrew Clements and Haiku Hike from Scholastic (4th grade students St. Mary's Catholic School).